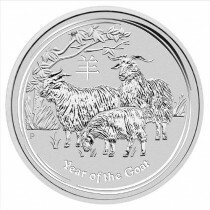 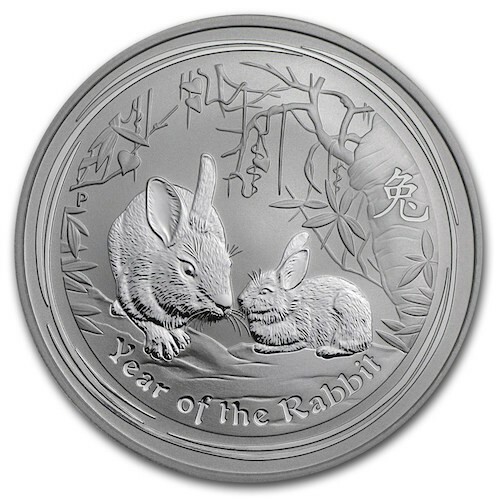 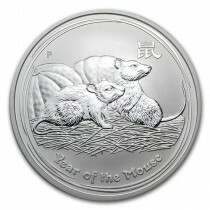 The 2011 Year of the Rabbit Silver Lunar coin features a rabbit next to a cabbage and a pot with Chinese lettering and the Chinese character for “rabbit.” The Ian Rank-Broadley likeness of Her Majesty Queen Elizabeth II and the monetary denomination are shown on the obverse. 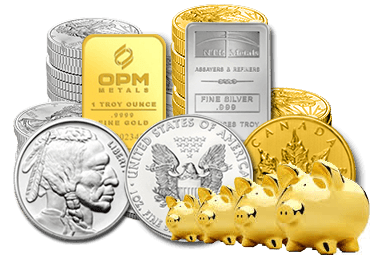 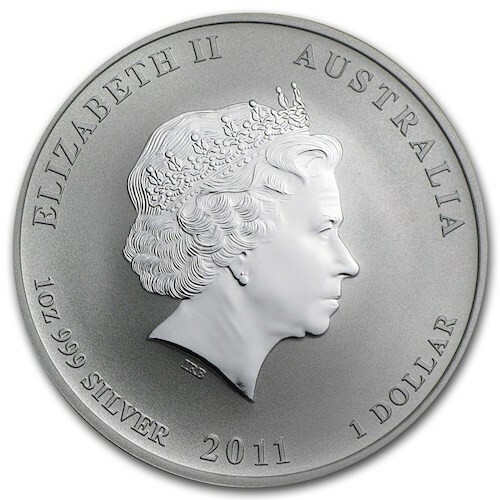 Each of these 1 oz Silver coins comes in a plastic capsule. 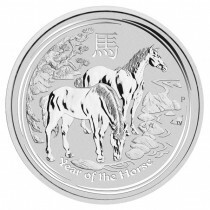 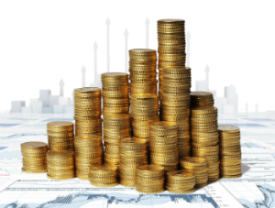 Due to the huge demand for these beautiful Silver coins, the 300,000-coin maximum mintage sold out within months, much faster than any other coins in the wildly popular lunar series.